Looking for an alternative to the headaches of conventional construction? 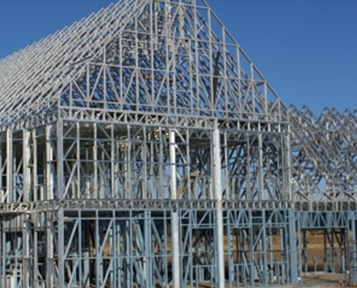 You have found your solution: Light Frame Steel Construction, the leaders in the field. For over a thousand years there has been only one invention in the building industry, the brick. Now however, there is a better, quicker and more cost effective solution: The Light Steel Framing. This system originated in New Zealand and quickly spread across the world becoming the favoured method of construction in New Zealand, Australia, United States of America and many more leading countries. The method is not only less labour intensive but also cleaner and greener, ensuring a better and brighter future for our beloved planet. Siteform was established in 2006. From the beginning we knew that nothing but the very best service and quality would do. To ensure this, our engineering team underwent intense training in New Zealand. Our head engineer is now regarded as one of the top authorities in the industry. Siteform always had the urge to break down the barriers and myths surrounding Light Frame Steel Construction. This was evident when one of our first projects was an unmatched three storey 600sqm luxury home. Every new design and idea that has been deemed impossible by others was tackled by us as a new challenge and we are yet to be stumped. Siteform has just finished construction on our new factory and all fabrication is done in a controlled environment eliminating any possibility of flaws. Siteform is situated in Bloemfontein but we are involved in multiple projects accross the country from Cape Town up to Johannesburg. No project is too big or too small and we guarantee nothing but the very best quality in every aspect of our work.